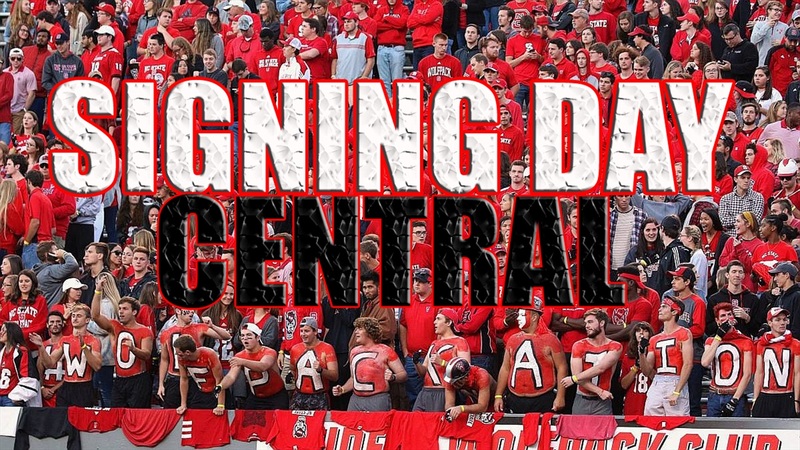 The February signing period begins today and the rest of NC State's football recruiting class will make their commitments official! Follow all the action here on Inside Pack Sports! We wil be in our Premium Chat Room periodically throughout the day (starting at approx. 8:00 am EST) answering questions and providing informatoin for our subscribers. NOTE: The Premium Chat Room is only available to subscribers. Registered members can subscribe HERE. We'll update the tracker as signed letter of intents are confirmed by the school.